If you’re here; you’re either specifically searching for A-Z World market review; or just searched for something related to a Darknet Market review; didn’t you? Either way, you’ve landed on the right runway. This piece is a review on the A-Z World Darknet Market; we went on the Dark web spent days on the site monitored its growth, response, security measures, products, user-interface and everything else that we could. Combined with our over a decade of research and interest with Darknet Markets I do believe we can get you a comparative, insightful and transparent A-Z World Market review. Security: Login Phrase, 2-FA, Escrow, Recovery Phrase, PIN. Does A-Z World Market Require Registration? Yes, unfortunately it’s a registration-only marketplace. Not even the products can be looked upon without registration. Registration is absolutely free, and doesn’t ask for an invite code. Also there’s no approval-time, meaning the accounts are activated instantly upon registration. So once users specify a username of their choice (preferably something completely unrelated and distant from their real-lives), a password, and a six-digit security PIN; you’re about done. Although the marketplace would then get you a recovery phrase which you should immediately save in a notepad file or write down on a piece of paper physically. As long as you do not reveal any real-life information; the marketplace registration is completely secure and anonymous. Who can Use A-Z World Darknet Market? If movies are to be believed, only hackers, spies and govt. agencies stroll the dark alleys of Darknet Markets; but we both know that’s only half the truth isn’t it? Any 5year old with basic knowledge of computers can be on A-Z World Market, it’s no different than being on WalMart or Amazon. Infact, the user-interface at A-Z World market is arguably even simpler than those at Walmart or Amazon. Once you’ve registered and Logged in, I believe the interface is pretty self-explanatory; isn’t it? In the screenshot above; it’s clear that if you wish to purchase something, you click either directly on the products displayed in the centre-screen; or choose a category from the left-sidebar and then click on the product you need. The rest of the process is simple, deposit funds>purchase. Simple as that. 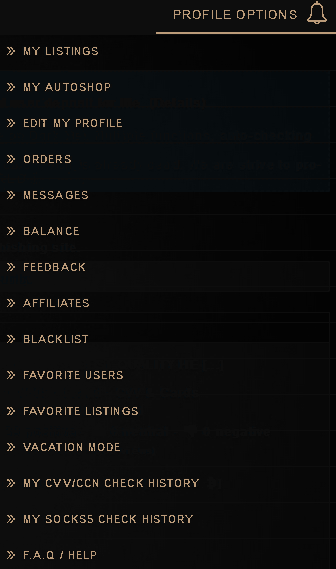 It also has “Profile options” on the top-right section of the dashboard which is a long list of options you’re offered such as Vacation Mode, Edit Profile, Favourite users, Orders, Balance, Messages and so on. Bottomline, using A-Z World is easy. What Can you Purchase on A-Z World? Ah! The million dollar question! As of now, A-Z World Market seems predominantly occupied with Digital Goods (although also offers physical ones) and currently has over 1200 individual products. Note that this number even though is exact for my time; may not be for you considering how the number of Socks5 and other items (specially in the autoshop) change massively over a short period of time (as dead cards/socks5 are replaced with working ones). The AutoShop isn’t something that common with other Darknet Markets. 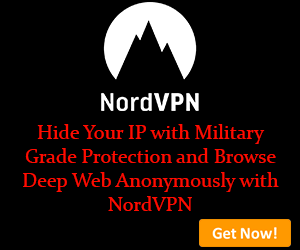 It’s a special section of this Darknet Market which lets you buy Cards, Socks5, RDPs, PayPal accounts and other such goods. The speciality is; the products purchased off the Autoshop are auto-dispatched instantly upon purchase and do not require a vendor’s intervention. This is the fastest way to get a hold of the listed products. The Socks5 in the autoshop can only be viewed by those who have an active account; meaning users who have atleast deposited once on the marketplace or made 1 purchase minimum. Also, the Socks5 is auto-checked every 3 hours for its working status. This section of the market is where you can buy items which are manually dispatched by the vendors. Have you ever seen a darknet market “not sell Drugs”? Me neither. A-Z World too believes in the distribution of Drugs and currently has 18 enlisted products in the category. Dissociatives seems like the most well-stocked sub-category in this case with 17 listings. Services is another one of its well-populated item and it includes services such as Youtube Likes/Views, money making guides, BTC to Cash (or vice-versa) services and so on. SQL injection although only has 6 listings is one of its most popular categories, selling hacking software, E-mail extractors, account creators and others of the like. It even has a section for “Other Listings” which lists items which do not fit into any other category and are more extreme than others (or so I’ve found); and it lists items such as weapon-printing tutorial! Money-scans, bomb-making guides and so on. Bottomline, the marketplace may not have a lot of physical products but unless you’re looking for Nuclear launch codes, it should cater to your needs. There’s a mandatory DDoS check everytime a new session is initiated (both for registered users as well as first-time visitors) which does speak for it being serious about its security. 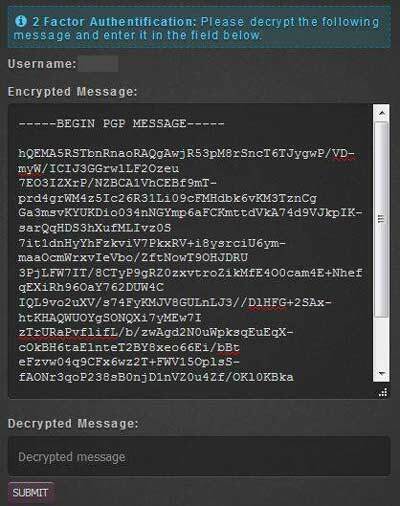 Then, it offers 2-Factor authentication for accounts via PGP which makes sure the accounts can only be accessed by the person who also owns the PGP private key and not just the password. Remember that recovery phrase I asked you to scribble down in the registration section? That’s what helps you recover your account in case you lose it. And obviously we also setup the 6-digit PIN if you remember; that’s another layer of security preventing major changes to the account without proper authorization! And forget not the Login Phrase/Personal Phrase which is displayed on your primary dashboard everytime you login; something that the marketplace auto-assigns to you and is displayed everytime in your profile. This is like a secret code between you and the marketplace; in case you’re on a phishing link or a duplicate site the fraud-site won’t know of this secret code and hence give itself away! One of the biggest security threats on Darknet Markets? The vendors. How do you know he/she isn’t a scammer and won’t run away with your funds? 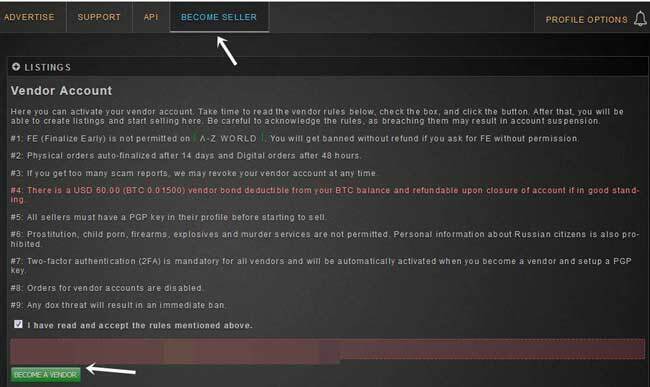 To prevent just that; A-Z World offers extensive vendor transparency into vendor profiles helping users vet each detail of the vendor profile before making a purchase. The number of positive/negative/neutral reviews. The number of sales for the product. The number of people who viewed the product. Isn’t it obvious? Bitcoin. That’s the only mode of payment currently accepted. Probably more currencies may be added at a later time; but as of right now users have to use only BTC. How can You Sell on A-Z World? In case you aren’t a buyer and would rather like to sell on A-Z World, they allow that as well. Simply click on the “Become a Seller” link from the top-bar > agree to their T&C and click on the green “Become a Seller” button again. Make sure you’ve USD $60.00 worth of Bitcoins before doing this only then you’ll be redirected to the next page. Anyway the USD $60.00 fee is refundable provided certain terms and conditions are met. Let’s wrap this A-Z World Market review up folks. We’ve talked about the market’s user-interface, it’s products, shops, vending policies and most other elements associated with the marketplace, haven’t we? Note that the marketplace isn’t very old; and yet the number of products on it is impressive; also because the products start as low as USD $10.00, you may want to test the waters with a smaller purchase first to establish trust maybe? Oh and they didn’t leave any stone unturned when it came to security; did they? Bottomline, it doesn’t have a lot of “Nay” points and does deserve a try in the least. What do you think of this A-Z World market review and the marketplace in general? How would you rate/compare it to other marketplaces out there? We’re all ears.